The Local Realty™ is a California based International Boutique Real Estate Brokerage; founded in 2007 by Patrick Hale. When technology entered the real estate industry in 2004, Patrick had already captured a large percentage of online traffic; generating over 500 real estate leads per month in San Diego alone, while spending $0 in advertising to do so. As technology continued to change how Real Estate Agents and Brokers operate in their marketplace, Patrick decided to move from his Top Agent role, into a Real Estate Broker and Team Leader; duplicating his proprietary systems so that other Associates could plug into systems which would instantly enhance their Real Estate Careers. Patrick then served on the Board of Directors for the San Diego Association of REALTORS and was shortly after appointed as a Director for SANDICOR; one of the largest MLS systems in the country! In addition to volunteering on the Board of Directors for both local and State REALTOR Associations, Patrick also assisted as a Founding Member and Past-President the Real Estate Society of San Diego State University (a non-profit organization which educates students about the career opportunities available in the real estate industry), while ranking in the top 5% of producing Brokers/REALTORS® in California. Today, The Local Realty has expanded it’s network throughout California, powering over 400+ real estate teams and networks in addition to 1,000+ referral partners across the US and Canada. Why Partner with The Local Realty™? Today, selling real estate is not just about opening a door and selling a home. Today, Selling a home starts with guiding your clients to the perfect Community; to their Ideal Lifestyle. 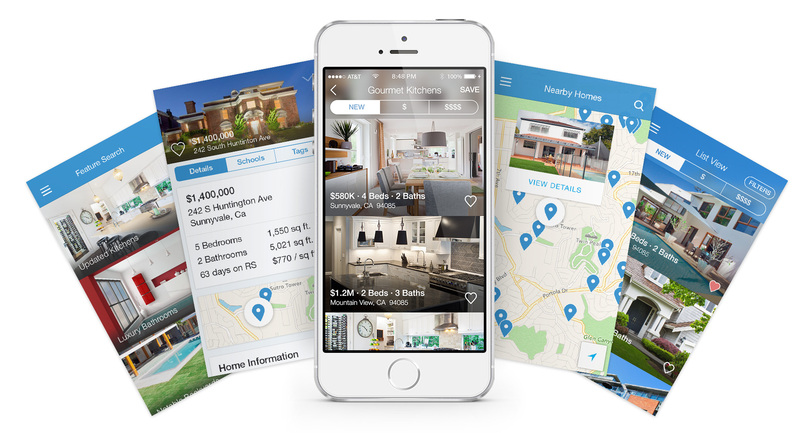 Being a successful real estate agent of the future means knowing your neighborhood, what’s happening, who’s who, where to go; things only the Locals know. The Local Realty is the worlds fastest growing Lifestyle Real Estate Brand, dedicated to providing the necessary tools and resources Real Estate Professionals require in order to dominate their Local Marketplace. Unlike most real estate companies which hire anyone with a license, The Local Realty focuses on hiring experienced Local Experts who provide Expert Advice to their clientele. Our real estate brokerage model has been designed to adapt with the changes in the real estate industry, which allows us to custom build compensation plans that work for all situations. Whether you are a “Virtual Agent”, a seasoned veteran, or a broker of a large firm, the Local Realty has a plan to assist you in quickly dominating your Local Marketplace. As an Associate with The Local Realty™, you will automatically increase your local and regional strengths by gaining access to our proprietary tools and resources which have been refined to improve efficiency and assist Associates in closing more transactions. Our trademarked and trusted real estate brand instantly provide authority and recognition in any marketplace; with a commitment to extraordinary local service. Whether you work best on your own through a virtual office plan, or you would prefer to be a part of a large team and brokerage network, The Local Realty™ has a place for you. We are industry pioneers which have developed the first “hybrid” brokerage model. Brokerage Owner or Team Leader? If you currently run a team of 2 or more Associates, or you’re looking to expand by opening up your own Brokerage, we should talk! We’re currently seeking Team Leaders and Franchise Brokerage Partners across the country. Whether you join The Local Realty™ as a Sales Agent, Team Leader, Franchise Partner or Executive/Administrative Staff, you will gain access to cutting edge tools designed to automate the most tedious tasks, so that you can focus on increasing your productivity and doing what you do best. Ready to Discuss Your Real Estate Career with The Local Realty™?